Above is a visual representation of the first paragraph of Eve’s Garden. 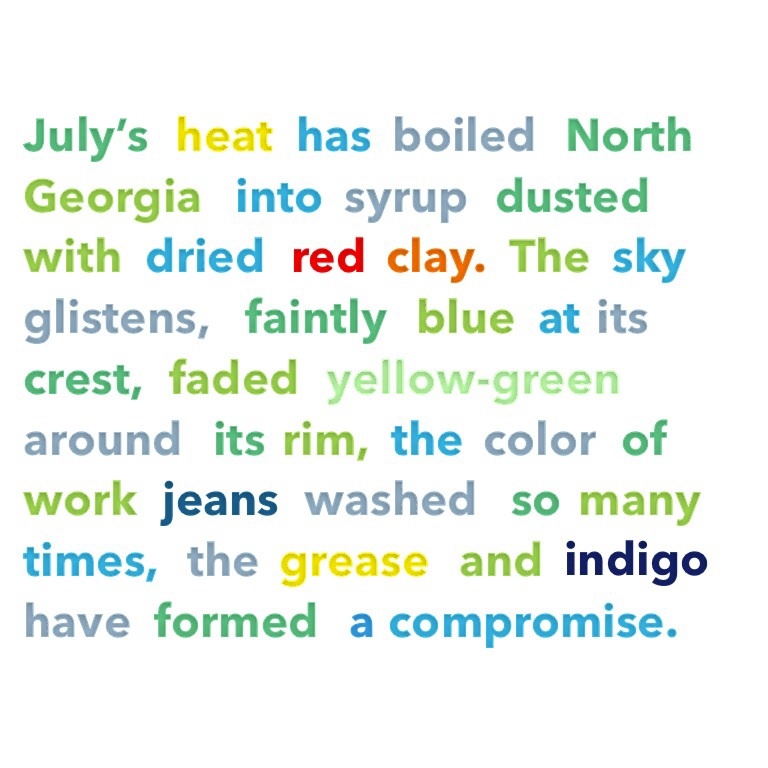 It was fun to play with Visual Poetry to get this colorful version! I’ll be giving away one final signed ARC copy on my Goodreads page before the launch party, when THE REAL THING will be available, at last. Find the link at left. In the meantime, tell me if you can remember how it felt to walk down a highway in the South–that’s what inspired this paragraph.